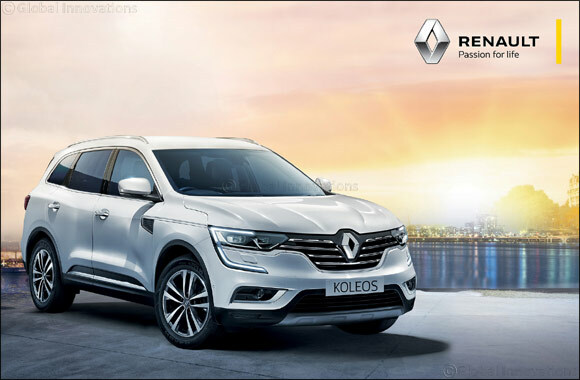 Kuwait –19 September 2018: Abdulmohsen Abdulaziz Al Babtain Co., the authorized agent of Renault in the State of Kuwait welcomes its customers to purchase and discover the powerful and refined SUV model at its Renault Store Al Rai. Backed by a ten year warranty and starting at only KD 5,999 now, the charismatic SUV is finely tuned with the Middle Eastern requirements backed by a local product range. It’s robust and muscular features amplifies the athletic exterior design with door protective moldings, large diameter two-tone alloy wheels, alloy roof rails, shark antenna, fender chrome lines and silver front skid. The four-wheel drive technology, all-terrain ability, engine and transmission line-up has been tailored to meet the needs and expectations of the Kuwaiti market. The 2.5-litre petrol engine is also an atmospheric, four-cylinder, power is 170hp (126kW) at 6,000rpm, with peak torque of 233Nm at 4,000rpm. Ensuring equal appeal internally, it is embedded with comfortable seats including technology and design amongst the very best in its category, class-leading cabin space, including 289mm of rear knee room, 8.7” touchscreen tablet with R-LINK 2 multimedia & navigation system. Koleos drivers can indulge in the Advanced Driver Assistance Systems (ADAS) such as Easy Park Assist and Blind Spot Warning. Renault Al Babtain encourages Renault fans to stop by the showroom situated in Al Rai to view the dynamic model for themselves.